And effectively get rid of extra weight! To order, select the quantity of the products, fill out the order form and click the 'Order Now” button. Note! Make sure that all the information is correct. Shipment of the products will take place within a maximum of 2 working days from the order date. Copyright © NutrinaAfricanMango.co.uk. All Right Reserved. 1. This Privacy Protection Policy sets out the rules for the processing and protection of personal data obtained from Users when using the NutrinaAfricanMango.co.uk website operating at the Internet address http://nutrinaafricanmango.co.uk, (hereinafter the "Website"), made available by Key Player Limited based in the United Arab Emirates, under the address: Key Player Limited, P.O. Box 231351, Dubai, United Arab Emirates. 1. Key Player Limited reserves the right to make changes to the Privacy Protection Policy and at the same time ensures that the rights of the User arising from this document are not restricted without their consent. 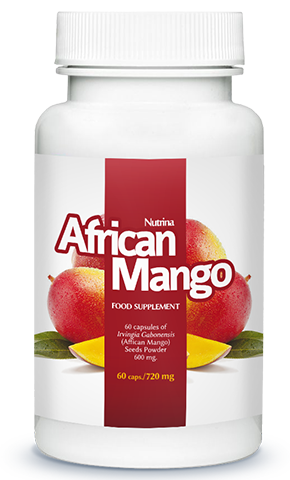 Any changes to the Privacy Protection Policy will be published on the website http://nutrinaafricanmango.co.uk.